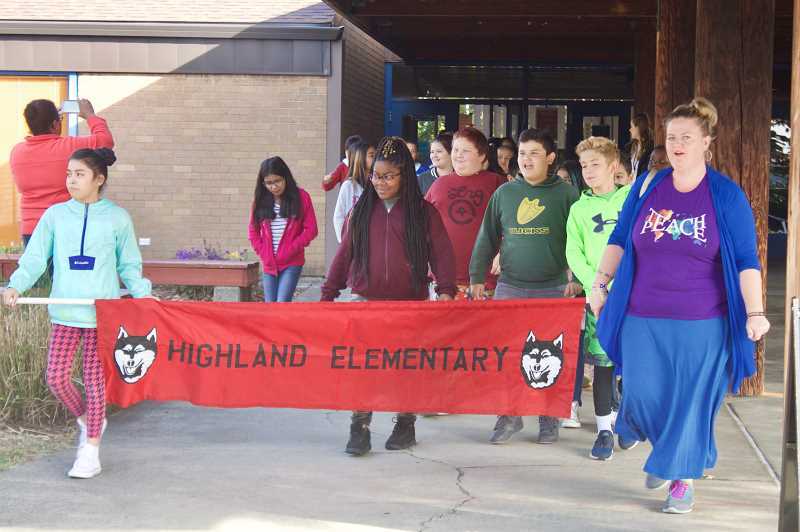 Highland Elementary students marched through Gresham's neighborhoods to promote peace during the International Day of Peace on Friday, Sept. 21. The students walked out of the school at 295 N.E. 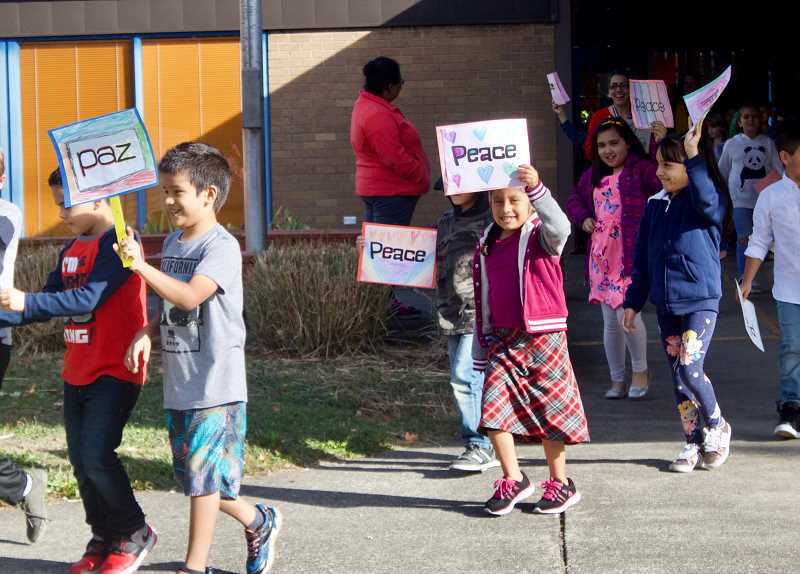 24th St., Gresham, at 9:30 a.m. with their teachers, chanting fun messages of peace and holding signs in different languages promoting togetherness. Some families were at the school to watch the procession, joining their kids as they walked. Later, at noon, the students had a minute of silence. The International Day of Peace is observed around the world. Established in 1981 by a unanimous United Nations resolution, Peace Day provides a globally shared date for all humanity to commit to peace "above all differences and to contribute to building a culture of peace."